dealers need to service their customers. "Texans continue to show us every year how much they love BMW automobiles and today we can show how much we love Texas," said Ludwig Willisch, President and CEO, BMW of North America. "You should know that BMW roots in the US are long and deep. We established our corporate presence here almost 40 years ago. And this year, 2014, we are celebrating 20 years of producing BMW's in the USA. 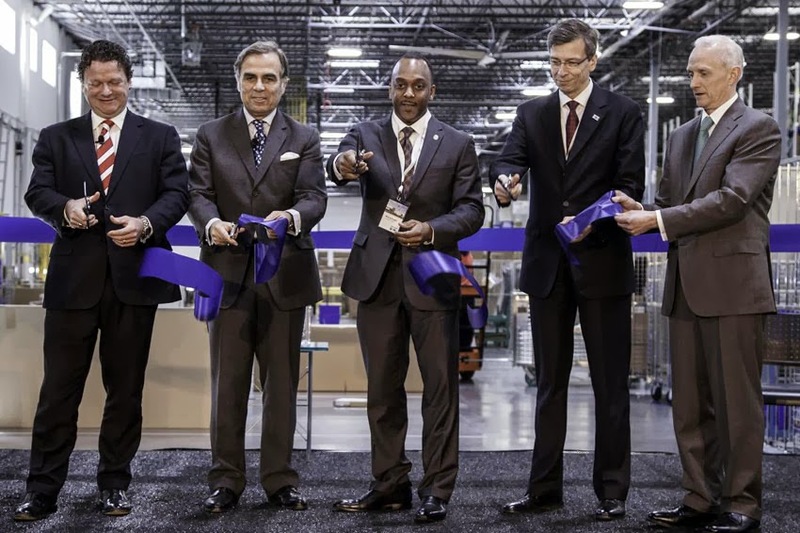 BMW directly supports and sustains more than 70,000 jobs in the US and we have just added to that number today with the opening of this new parts distribution center in Texas." The RDC totals 282,000 sq ft with expansion capabilities to 370,000 sq ft. It is the latest demonstration of BMW's continued dedication to its customers and dealer network in the US and the company's recognition of the economic importance of the Dallas/Ft. Worth Metroplex and the entire Southern Region to BMW's success. "At BMW, we like to not only exceed industry standards, but to redefine them," said Craig Westbrook, Vice-President - Aftersales, BMW of North America. "Overnighting parts to dealerships has long been the industry norm, but with the opening of this RDC in Lancaster, we will provide same day parts delivery to our dealers in Dallas, Fort Worth, Houston, San Antonio and Austin." Built by Prologis, the new Center is located at Prologis Park 20/35. The Regional Distribution Center will store and distribute BMW parts to dealerships in Louisiana, Mississippi, Arkansas, Oklahoma and Texas. Combined with the five other Regional Distribution Centers, BMW has more than 80,000 unique part numbers across two-million sq ft of storage space, with more than 400 associates solely dedicated to processing dealer orders daily for the US market.